3D assets for video games and movies is incredibly expensive and time consuming, so it is no wonder why most VR don’t have personalized experiences. With advancements in AI and machine learning, however, those time-consuming tasks can be delegated to the computers, so that developers can make those personalized experiences quickly. AiSolve is a company working to make immersive and interactive learning modules by combining machine learning and VR. AiSolve recognized the potential for VR to help people learn without having to purchase expensive equipment and classes. They offer a variety of courses that can teach the basics of pediatric emergency room healthcare, manufacturing, and education. By applying machine learning to handle the mundane tasks, developers can make curriculum opportunities that are tailor made for specific companies quickly and effectively. AiSolve with the help of VRsims, a proprietary virtual reality company, have earned learning awards for their first VR experience. The simulation helped workers to learn how to plumb without all the equipment. Not only does AiSolve’s machine learning help create smart and interactive content quickly, but it also takes analytics from the game to help advance the learning progress of the user. As they progress through the program, they grow from beginner to an advanced user. 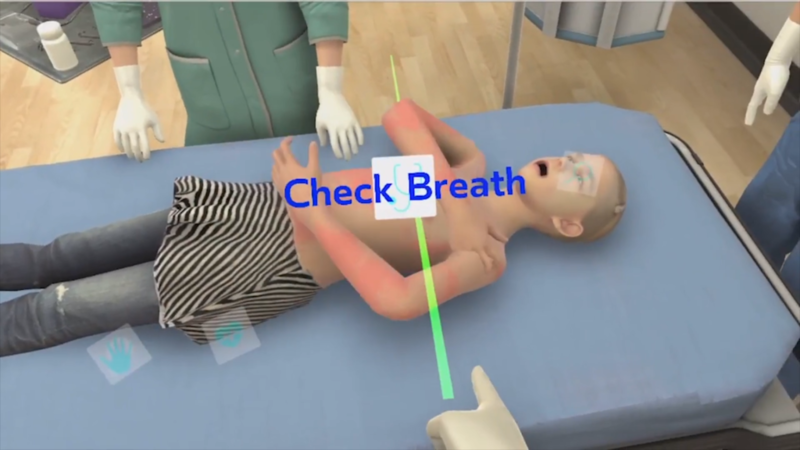 VRsims is used at the Los Angeles Children’s Hospital to teach healthcare students how to react to high stakes situations in the workplace. Students learn how to diagnose and treat symptoms through the immersive lens of VR. These experiences set them up for success in the workplace and teaches them how to be calm under pressure. Additionally, AiSolve and VRsims have created a simulation platform to teach airport security to spot and react to dangerous situations in an airport. Workers can experience how to identify dangerous weapons hidden in luggage. AiSolve’s products and services are breaking new ground by using machine learning to aid in the development process and to track a user’s progress as they take the courses. This makes experiences faster to ship, more realistic, and personalized for the user. They already are working with partners such as Sony, Facebook, and Oculus and hope to continue their success.